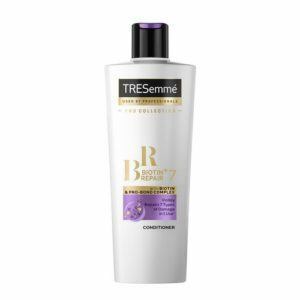 The TRESemmé Repair and Protect 7 Conditioner is a lightweight formula, infused with Biotin, that works to repair mechanical, heat and chemical damage. It works to nourish damaged hair to restore strength and smoothness. Containing Microsheet technology, the conditioner protects against breakage and is safe for color-treated hair.